Part of the Field & Country Group, from our superb facilities in the Staffordshire countryside, we endeavour to breed and produce horses which are equipped for the challenges of racing, but are able to adapt to any lifestyle once their racing days are over. By investing time and affection into the horses, we hope that they leave us with a good work ethic and are well mannered enough to ensure they are well looked after wherever they go in future. We have clients from all over the UK and overseas. Abacus Bloodstock will always offer unbiased and cost-effective advice & services to our clients. Our close-knit team has many years of experience in bloodstock selection, breeding, preparation & training and in owning horses themselves. Staff are fully trained in all aspects of the business including Stud Management, Equine Transportation, pre-training & re-training and nutrition. We also call upon our external professionals to assist us as required. Everyone at Abacus Bloodstock is committed to offering the best care to the horses, and to our customers. that it really enjoys the work, and wants to perform to the best of its abilities. We make sure the yard is a place where horses and staff feel at home. We use the best feeds and locally sourced hay and haylage." Sarah has previously worked at a variety of successful yards and brings a professional and fun approach to the team. She is great with our youngsters and gives them a good grounding from birth - including backing and pre-training the juveniles. 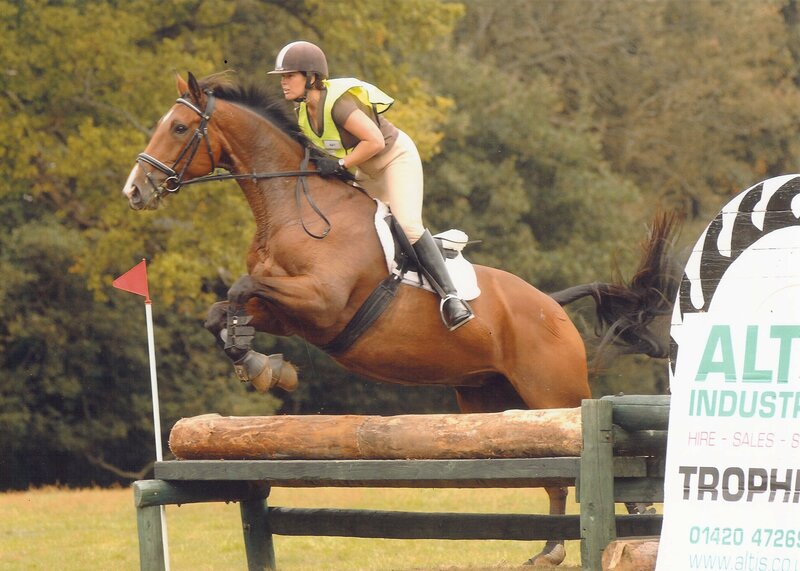 She competes in X-country and eventing and has owned horses since she was 11 years old. "No two days are the same. From managing suppliers to planning matings & purchasing horses to dealing with the administration, it's all about getting the best out of the horses and making the owners feel they are buying into a professional and caring team. We have a great group of people here and it is my role to ensure the machine is running well, allowing the Abacus team to concentrate on the horses. Value for money is important for us - owners deserve a good deal" Stuart is seen here pictured with Solo - our hunter who is also an invaluable part of the team - he looks after the weanlings and is an excellent schoolmaster to our youngsters. We would be unable to operate without the service and support given by our suppliers and professionals. 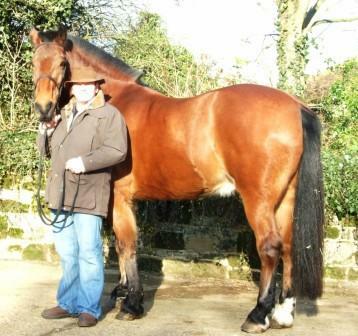 These include the excellent team at Pool House Equine who provide general veterinary services. With hospital faciliites only 10 minutes from us we are ideally located for our own horses and for rehabilitation of clients' horses. Our stud vet, Jenny Alsop of JLA Vets is an accomplished vet with masses of experience in reproduction in horses. She knows our horses well and ensures they are in top condition to visit the chosen stallions. She also looks after the youngsters and has the job of chipping and innoculating the foals, we think they forgive her - eventually! Jenny visits at least once per week in the breeding season but can become an everyday visitor when we are busy. Farrier Andrew Leek is invaluable to us. They say "no foot, no horse" and this is a young man going places. He is great with the youngsters - getting them used to the routine with a blend of patience and professionalism. He is a good judge of confirmation and is great at managing the needs of our youngsters, as well as the brrodmares and other horses. He is great at remedial shoeing and is a real asset to our team. All of our hay, straw and haylage is sourced locally. Our suppliers G & R Roobottom specialise solely in growing top quality forage and are based just 5 miles from us in Rugeley, Staffordshire. By feeding locally sourced forage we ensure that the quality is high and complements the natural grazing the horses receive in the fields.